Hello Happy Site Owners! This week’s tips include a new Google Publisher plugin, 5 reasons to ditch the default WordPress video player, how to avoid the coming content marketing glut, a really fun visual way to organize your blog posting calendar, super helpful G+ posting tips, and a couple of ways to display your latest YouTube videos on your site. So let’s dive in. Listen to the podcast. I want to let you know what I’ve been up to at BlogAid for the past few weeks. As most of you know, I’ve been changing the focus of the business for about a year, and finally went public a few months ago with services that I’ve quietly been offering to select clients. One of those services is site management. I’m currently in the throes of creating several case studies on site performance. I’ve got the sites all cleaned up and now it’s a lot of testing and tweaking. Cleaning up the sites included removing everything that was slowing down the whole hosting account, including old abandoned sites. Keep in mind that if you have multiple sites on the same account, all of those are connected to the same database as your main site. And if they’re abandoned, they all pose security risks to every other site on the account too. Plus, it may put you over your disk usage limit on your hosting too, and that causes its own set of problems. Not to mention never having cleaned out your host-based email accounts. If you run your emails through your host, did you know there’s a copy of all of your emails on your hosting mailbox? You may have deleted them from Outlook or whatever you’ve been using to pick them up, but they’re still on the hosting. And then I combed through the main site for plugins that had been deleted, but weren’t completely out. Some left whole folders in the core files area or whole tables in the database. And then I ran a full site audit on security and plugin conflicts. After that, I started running baseline tests to see what was pulling site performance down. You would be amazed at how load heavy some plugins are compared to others. It really does make a difference to use a plugin that gets the job done but not at the expense of site performance. Same with themes. And that’s why I’m such a Genesis freak. The code is clean. And then there are all of the caching tweaks and content delivery networks to explore for each site. There’s no such thing as one-size-fits-all when it comes to those settings. Everything has to be tailored to each site, and each performance drain has to be measured for ROI. And now, every plugin and tactic I recommend on BlogAid is going to take performance factors into account. It could make the difference in pulling in $5000/mo or $10,000/mo from your site. No kidding. I know a lot of marketing folks who have thrown the kitchen sink at their site, trying one gimmick after another. That’s okay, as long as you’re sure you’re really cleaning up the site after you get rid of it. I’ll have those case studies, and interviews with the site owners coming out in a month or two. So, look for them on the blog. The Google Webmaster Central blog announced that they’ve released the beta version of the Google Publisher Plugin. The point of this plugin is to give you easy access to Google products from within your WordPress Dashboard. Right now only two products are supported, including Google AdSense and Google Webmaster Tools. Now, because this info is coming in from other sources, it may slow down the load time of your Dashboard, so just be mindful of that if you want to give it a whirl. When WordPress 3.6 came out, everybody was all excited about the inclusion of native HTML5 audio and video support, meaning that you would no longer have to use a 3rd party player. But in this post from Chris Knowles on the WPMU.org blog, he gives you 5 Scenarios Where You Need To Ditch The WordPress Video Player. 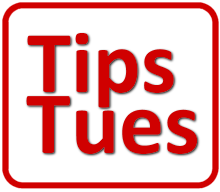 Now, when you read that post, you may recall in a previous Tips Tuesday that I shared a post from Ellen Finkelstein that Amazon S3 is now listed as supported. And Chris doesn’t make it sound that way. So, I don’t know if he just isn’t aware of the updated list, or, like me, he is advising to still use a 3rd party player to hide part of the path to the AS3 bucket. I use the S3 FlowShield plugin to do that, because the videos I have stored on AS3 are for the BlogAid Video Tutorial Library and I want them protected. There have been a slew of posts and discussions all over about the idea that content marketing is going to reach its saturation point this year. What’s striking to me is that all of this is mainly coming from folks who have been almost exclusively concerned with SEO, as in this G+ post from +Mark Traphagen highlighting one of those discussions. Here’s my take on it. Consider the sources. These are SEO folks. Then compare those discussions to the way folks like +Mari Smith aka The Queen of Facebook, built her empire. It has always been about relationship marketing. And that’s what the SEO folks are just now catching on to. Instead of spending your time researching the best keywords, they advocate writing posts that endear trust and authority. And, to not be shy about freely sharing your expertise. Wow, they are starting to sound just like the stuff in the book that Mari wrote years ago. In previous Tips Tuesdays I’ve been telling you that it’s time to get strategic about your blog planning and that an editorial calendar would help with that. For those of you that already have a gazillion posting ideas that you haven’t finished yet, you may really like this post from Roger C. Parker. It’s created on mind mapping software, so it has a very different visual appeal than a spreadsheet. It will help you track posts you’ve completed and keep those half-finished ones from dropping into a black hole. In previous Tips Tuesday I’ve mentioned how important it is for you to get strategic in your G+ use. And part of that strategy must include well formatted posts. You may want to create those ahead of time elsewhere, such as a document processor. This excellent post from +Ronnie Bincer has all of the tips you’ll need to create a post that will automatically display the proper formatting when you copy it to G+. And everybody is going bonkers over the special way he found to do +mentions. It’s a major time saver. Getting videos on YouTube is a great way to expand your content strategy into other platforms. And if you want to show off your latest video in a widget-ready area, like your sidebar or footer, then this post on WPBeginner will help you do that. In fact, I think I may give it a whirl on BlogAid. And if you want to display a bunch of your YouTube videos in a row, there’s a plugin for that too. It’s called YouTube Video Feed and it gives you shortcode that you can place anywhere, like at the bottom of your posts. Now, it only gives you configuration options for how many to display from your whole channel. It would nice if you could choose a category playlist or such, so you could get related videos. If you know of a plugin like that, leave us a comment and tell us about it. That’s wrap for this week’s Tips Tuesday. Wherever you’re catching this podcast, please be sure to leave a rating for it and I appreciate everyone who is doing that and helping me get more eyes and ears on this valuable resource. Be sure to visit BlogAid.net for tips, tutorials and resources to make your site better. And I’ll see you online.